Stoner Bunting turned an overlooked commodity into a product that matters. Through a multi-platform marketing campaign, we helped builders give their customers what really matters to them in a home – all while unifying a brand with a cohesive messaging strategy. CertainTeed Gypsum, a leader in innovative and sustainable drywall solutions, had a product lineup that provided builders with an array of added benefits. 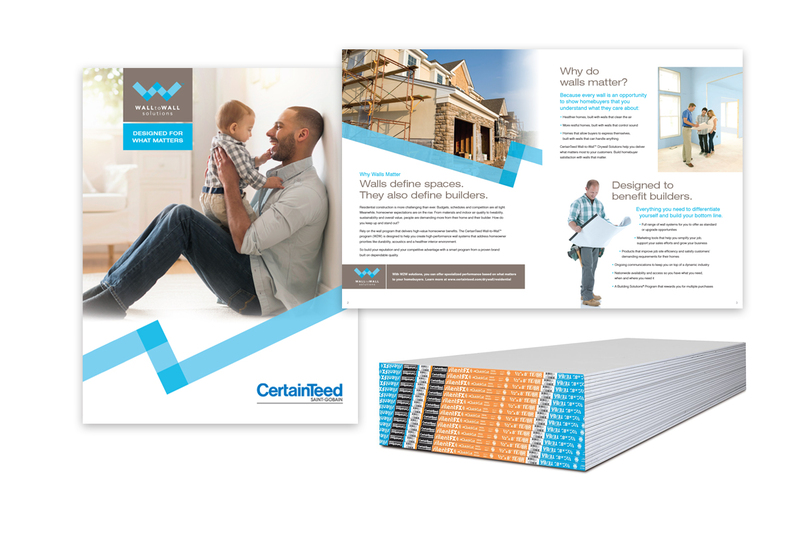 Despite ongoing marketing efforts, the brand’s voice was lost in a market that believed, “drywall is drywall is drywall.” Furthermore, CertainTeed’s previous campaigns focused on individual product benefits, failing to cohesively brand the gypsum division or provide a unified voice. The campaign established a variety of human-oriented relationships and situations that matter (health, peace and quiet, freedom and flexibility) and connected them to the beneficial function of walls. This offered a simple visual equation that would engage audiences by allowing them to “connect the dots.” It also allowed us to use one unified campaign and brand voice to market a variety of products with different benefits and functions.